Sunderland have been strongly linked with two German managers, with a takeover of the club reportedly imminent. Former Germany, USA and Bayern Munich chief Jurgen Klinsmann has been tipped to land the Black Cats job should the German consortium interested in buying the Black Cats conclude their takeover. And Union Berlin manager Jens Keller has also raced up the bookmakers’ market. Klinsmann would be a stunning capture for Sunderland, given his achievements as player and manager, and could be the type of appointment to reinvigorate the Red and Whites following relegation, just as Roy Keane did when he took charge of the Black Cats in 2006. Keller, previously linked with Norwich, is now among the favourites for the Sunderland job, along with Klinsmann and Preston boss Simon Grayson. He previously worked at Stuttgart and Schalke. 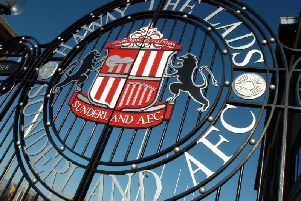 Keller has another year on his contract at Union Berlin and he would appeal given Sunderland are set to target the German second division as part of their summer transfer plans. Meanwhile, ex-Leicester and Derby boss Nigel Pearson has ruled himself out of the running to be Sunderland boss. On the takeover, sources near to the bid say they are ‘very close’ to an agreement. However, it is by no means guaranteed that Short will accept the terms on offer.